Another great movie by Rybczynski! 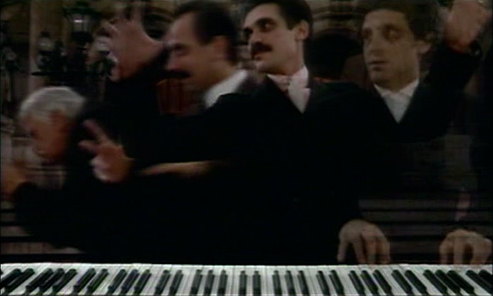 The music he uses (Chopin, Ravel) makes one with the motion pictures he created... The shooting is really unbelievable... especially I like the flying couple, and of course, "The stairs to Lenin"! Everyone should see it.